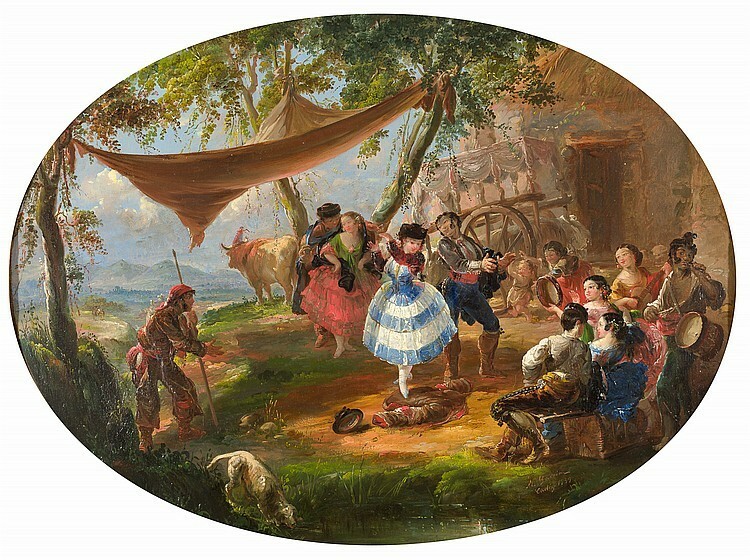 A private collection of Andalusian Romantic paintings from a Spanish estate will be coming to auction next week, showcasing one of the most prosperous artistic periods of Sevillian and Andalusian art. 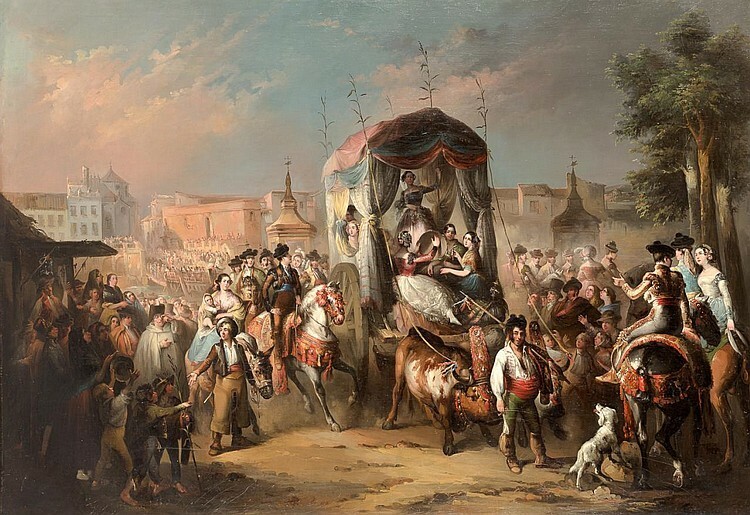 In the second part of the 19th century Romanticism reigned supreme under the rule of Queen Isabella I. 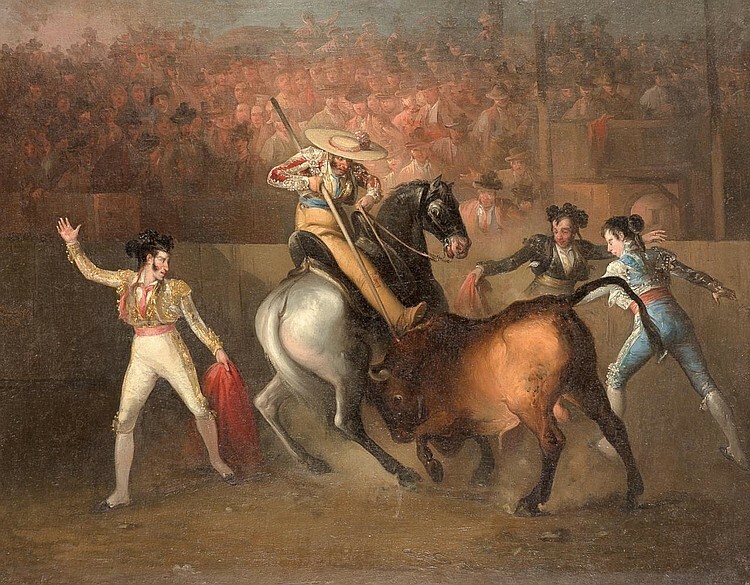 During this time, Seville and the Andalusian regions saw one of their most prosperous artistic periods in their history. 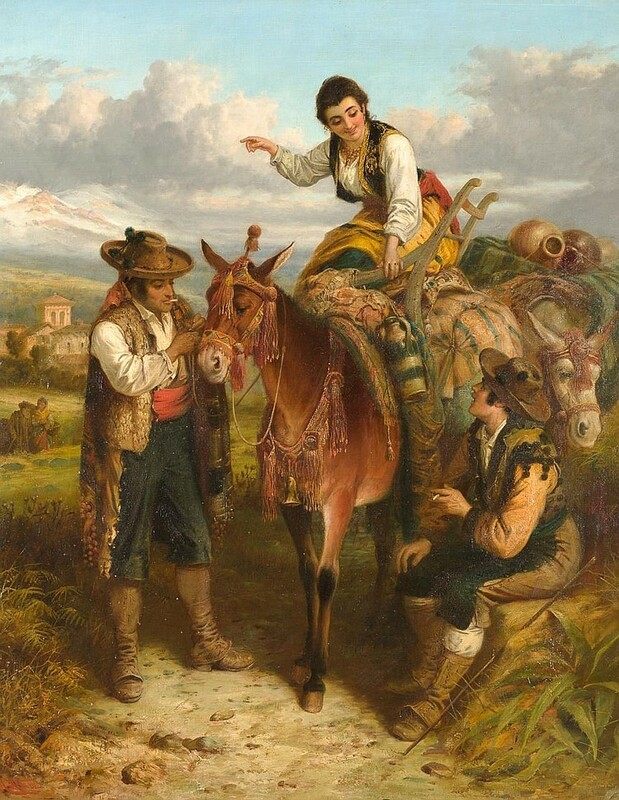 Many Spanish artists travelled abroad to acquire new knowledge, whilst other European painters were attracted to the exoticism of Spain, especially Andalusia. Artists became travellers and travellers became artists. 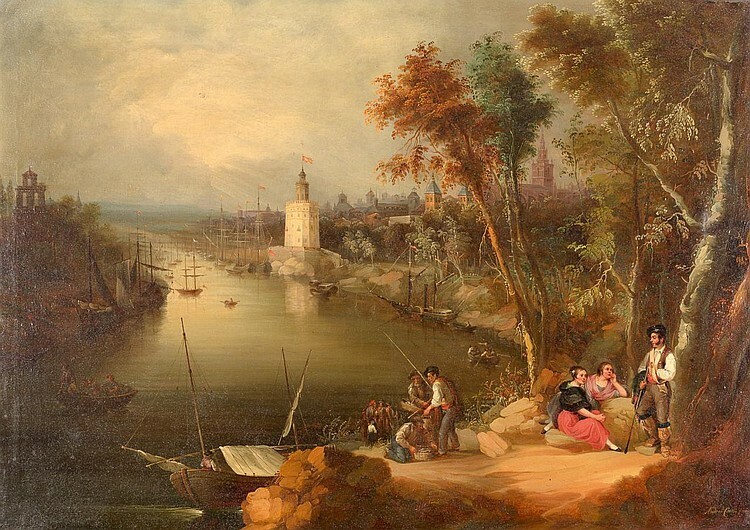 Romantic travellers like Washington Irving and Richard Ford spent their time in Seville and Granada, building up their enormous oeuvres depicting the Spanish people and landscapes. 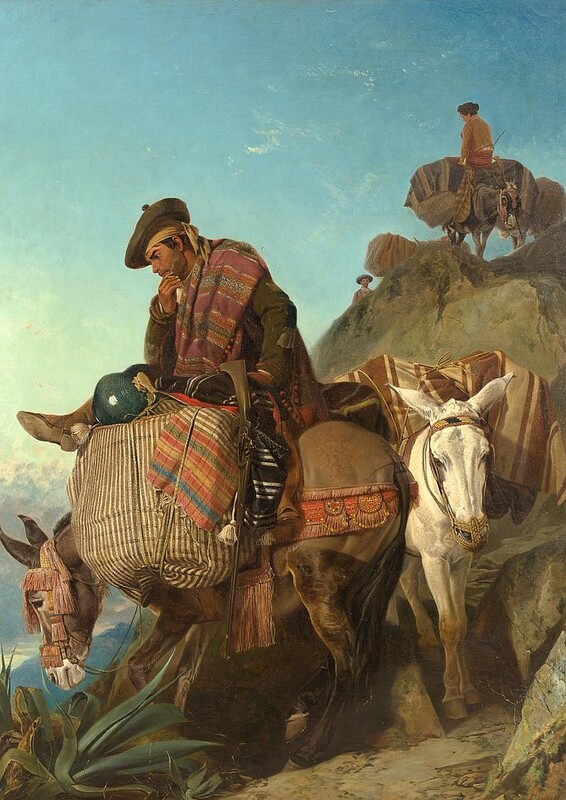 These costumbrista works would contribute to the phenomenal success of Andalusian art on the international market, with Seville the epicentre of this success. The city, on the banks of the Guadalquivir, became a magnet for artists from all over Europe, curious travellers drawn to the Andalusian scenes of bullfighters, flamenco bailaoras, bandoleros and landscapes of Andalusia. 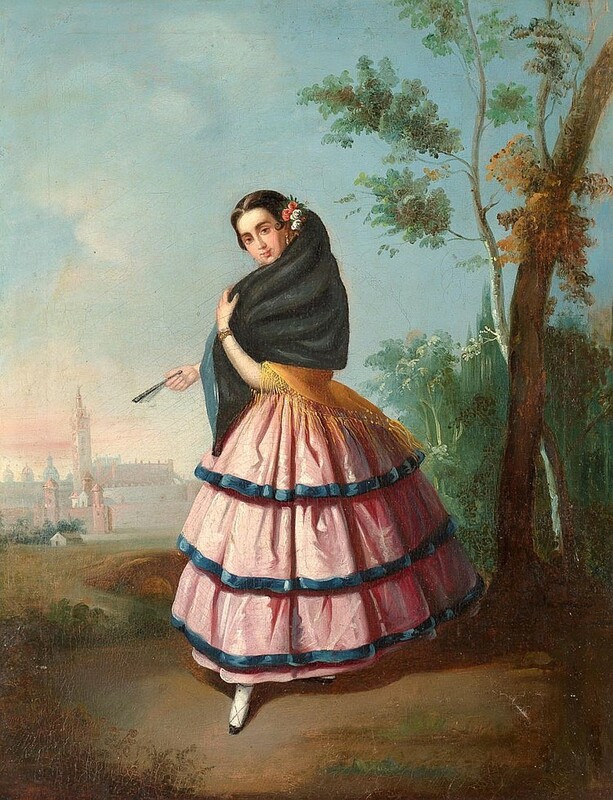 Names like Andrés Cortés and Aguilar, Manuel and Antonio Cabral Aguado Bejarano, Manuel Barrón and Carrillo, Manuel Rodríguez de Guzmán and the Domínguez Bécquer family were all an important parts of the costumbrista artistic scene and will be featured in Isbilya's sale on 25th April, 2017.